Back Pain Centers Joins with Becker’s Healthcare to Donate Life-Saving Funds for the Patients of Lurie Children’s through Chicago Dance Marathon. We are in the business of partnering with healthcare providers and feel that this is an extension of our mission to support patients in need. Back Pain Centers of America (BPCA), which helps people searching for solutions to their neck and back pain to find a reputable physician in their area, announces that it is contributing to the Chicago Dance Marathon for Ann & Robert H. Lurie Children’s Hospital of Chicago to help children who are treated and battling illness each and every day. The marathon was held on February 20, 2016 at the Chicago Marriott Downtown on the Magnificent Mile. The dance marathon included eight hours of music and fun to raise funds. Since its inception in 2010, Chicago Dance Marathon has raised more than $1.9 million for Lurie Children’s patients and families. “Jessica Cole, president of Becker’s Healthcare told us about the event,” said Brent Wheeler, president of Back Pain Centers of America. “We are in the business of partnering with healthcare providers and feel that this is an extension of our mission to support patients in need.” Wheeler also made a personal donation to the cause in addition to his company’s support. 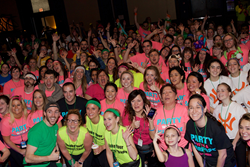 Information about the annual event can be found at chicagodancemarathon.org. The organization is still accepting donations on their site.